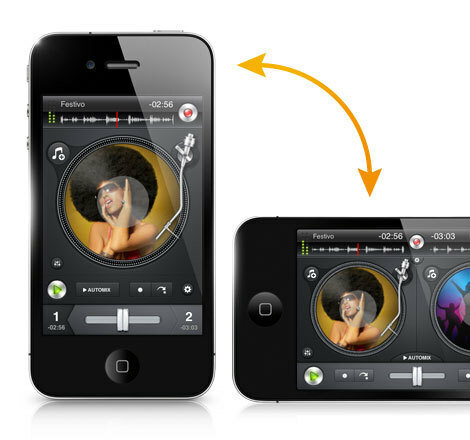 djay App, Other software for iPhone / iPod Touch / iPad from Algoriddim. algoriddim, makers of the line of "djay" products for Mac and iOS devices, has announced its djay for iPhone & iPod touch app is now available in the App Store. The app brings the features of the iPad and Mac releases to the screen of the iPhone and iPod touch. The app links users to their device’s iTunes music library. With a new portrait mode, djay for iPhone & iPod touch is designed to let users work each turntable individually, allowing to beat-match, adjust EQs, loop, and cue. 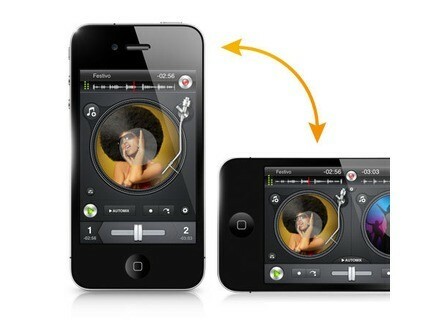 A rotation of the iPhone and landscape mode enables control of both turntables and a mixer at the same time. Direct Access to a User’s iTunes Music Library: Browse the music library on the device and select, play, mix and scratch your favorite songs. Dual-turntable interface: Developed for the touchscreen. Automix mode: Blends an iTunes music playlist into a mix with automatic transitions. Live Recording: Captures the mix. Seamless AirPlay Integration: Stream your mix wirelessly to Apple TV, AirPort Express station, or any AirPlay-supported speaker dock, AV receiver, and stereo system. 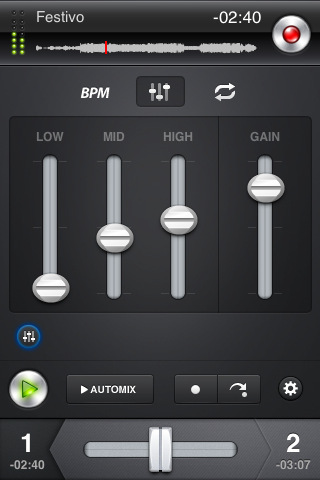 BPM Sync: djay’s automatic beat and tempo detection is designed to allow users to match the playback speed of two songs. Auto Loop: Continuously repeat part of a song in sync with the beat as a live effect, features half/double of loop duration. Bounce Loop: Remix a song by mashing up its beats by holding a button. djay for iPhone & iPod touch is available for $9.99 from the App Store. Harmony Systems gbTouch 2 Harmony Systems announced the availability of Delora gbTouch 2, an iPad application that functions as a remote controller for the Apple GarageBand Mac application program.